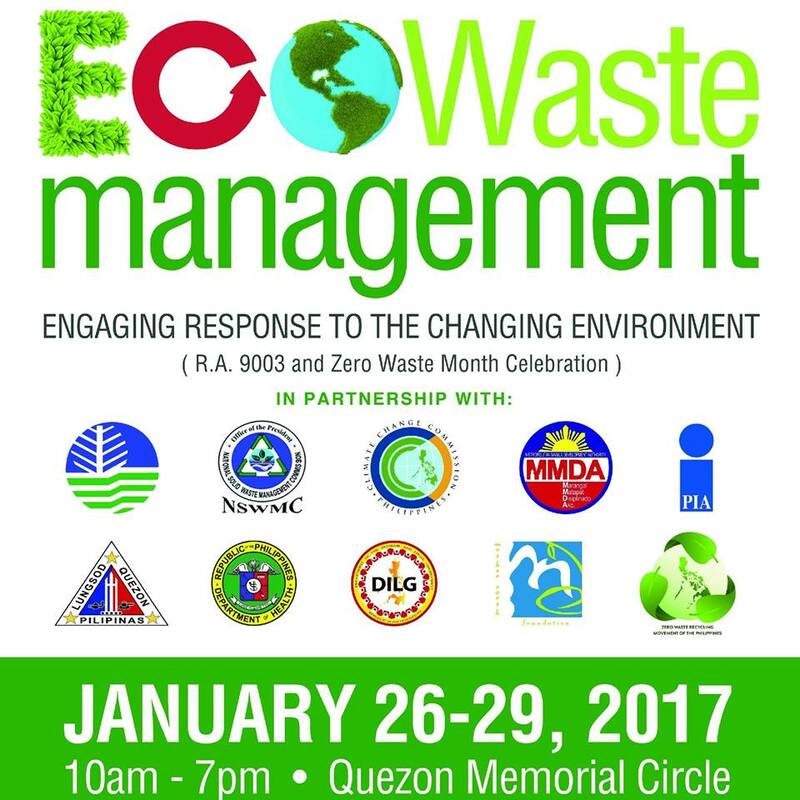 Senator Cynthia Villar keynotes the four-day 3rd National Integrated Eco-Waste Management Exhibition with the theme “Engaging Response to the Changing Environment,” which opens on Thursday, January 26, 10 a.m., at the Quezon City Memorial Circle. One of the highlights of the Summit is the “Walkthrough the Environment,” an interactive activity with 10 stations that will make you experience what the environment is going through right now and will help you reflect on what you can do to save Mother Earth. 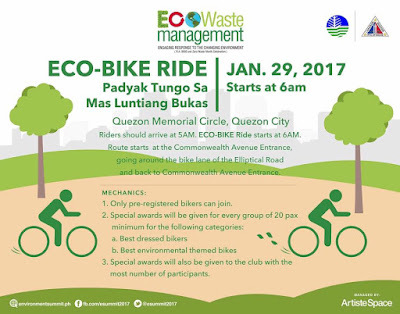 Along with raising awareness, the E-Summit works with government agencies and non-government organizations to urge the public, especially the youth, to participate in effective solid waste management, healthier lifestyle programs, and other initiatives that would help save the environment and promote a healthy way of life. 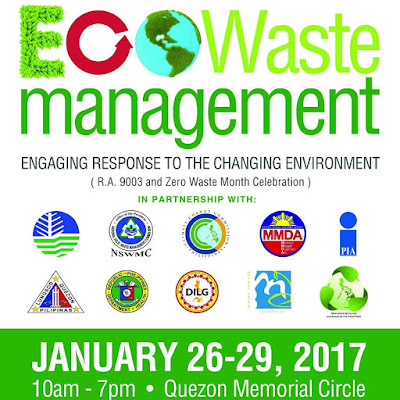 Officials of the DENR-NCR, Environmental Management Bureau, Climate Change Commission, National Solid Waste Management Commission, Metro-Manila Development Authority and other national agencies and local government units, as well as CEOs and senior managers of private companies participating as exhibitors are also attending the opening day of the event. This event was made possible by our major sponsors like LG Lopez JFE, Landbank, Cemex, Development Bank of the Philippines, Maynilad, JJ Esteban Enterprises, Cleanway, Metroclark Waste Management, Plantex, LG Lopez Industrial Sales and Services Inc., Eco-system Technologies Inc., and EEI Corporation. Our minor sponsors, Malabon Soap, Full Advantave Phils Int’l,… and official media partners, WhenInManila.com and Buhay Pinoy at PTV4.